I don't know much because my son won't tell me. I knew he was being bullied 2 years ago and I talked to the teachers. My son (11 years) use to be a happy kid with passion for learning. He was full of dreams and hope. Now he hardly talks, every day he gives a new excuse not to go to school and many times he begs me not to take him to school and to home school him, which I cannot do. I am a single mom so he doesn't want to worry me but my heart is breaking because I don't know what to do. 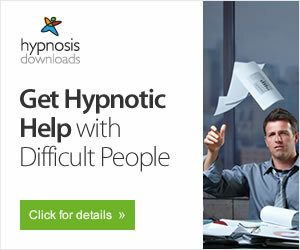 I was looking for a support group when I found this site. Does anybody have any advise? Should I change him to another school? or would that make it worse. What if he finds other bullies. Please help! He seems to be so sad so quiet so enclosed in himself. He has no motivation, he cares about nothing anymore. 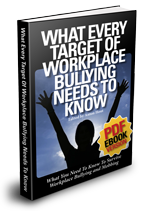 Hi Mom, I am also a target of bullying and until June last year I worked in Child and Youth Mental Health in Australia. Many of my cherubs had been bullied at school and refused to go to school. I now understand how they feel because I was bullied at work and now refuse to enter any workplace because of anxiety. I suggest that you contact a child psychologist who will get to the crux of the problem and will be able to advise whether your child needs to change schools while developing resilience skills using cognitive behaviour therapy. I also suggest that you look at the website: http://www.pathwayshrc.com.au/?page=7 they have excellent programs for children who are experiencing the same difficulties, you can even order their books online and they even have 'homework' books for kids and families to work through themselves. I'd get on to it smartly, the longer he remains traumatised he is more likely to grow up with big problems including anger and aggression. Remember to document everything because your son's school has a duty of care to provide a safe environment for your son to learn and grow. My heart goes out to you and your son. If, your son was my child, I would purchase a pair of sun glasses with a video camera with audio. Have your son wear the sun glasses, which will record, what's being said and the individuals doing it. It's very important depending on what state your in to tell the bully's that they are being recorded. This way the evidence (video and audio) will be allowed as evidence to school officials or law enforcement. Then I would ask my son what school, he would like to go to. Hi Mom. I am a former bullying victim (now 28) and I can tell you if you don't get help now, your son will carry the scars of bullying for the rest of your life. I went from a happy go lucky kid to a severely angry adult. Because of bullying, I screwed up badly in school and had to finish at adult school. I don't want your son to resort to in class violence like I had to. So here is what I suggest. First and foremost, talk to the teachers and principal at your son's school to let them know what is going on. They may not be aware of it. If that fails, I would consider putting your son in another school. Schools get funding based on the number of students that are enrolled so they should listen to you. You may even want to consider putting your son into a program that is somewhat like home schooling. I forgot what it is called but he goes to school once a week to pick up a packet which he has to complete by the following week. I hope this helps you and I wish you the best of luck.